The signing of our new clients was covered by Tech Central today. We signed the Waterford based app developers Feed Henry. We’ve also signed up Dublin’s Digital Markerting Institute, which does what it says on the tin and teaches people digital marketing, such as social media, anf web-based PR. 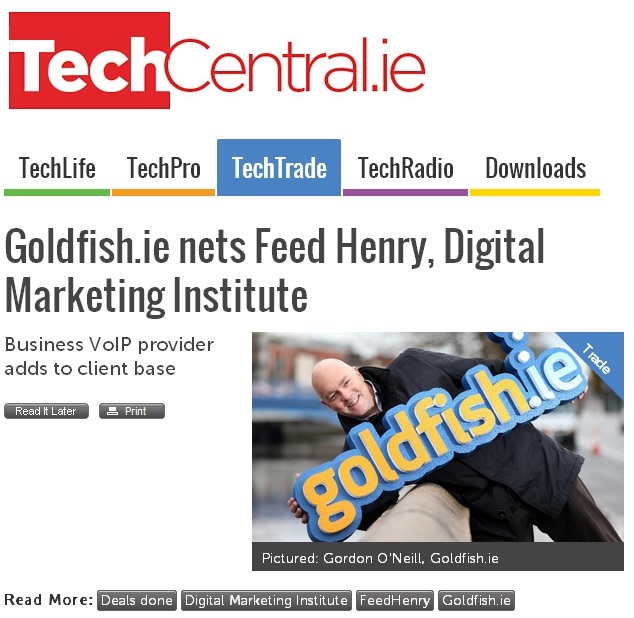 Goldfish.ie nets Feed Henry, Digital Marketing Institute. 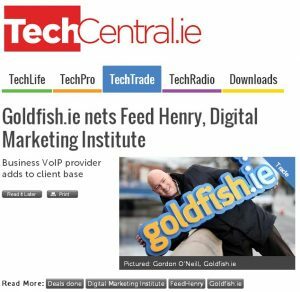 Wicklow-based business VoIP provider Goldfish.ie has won contracts to provide telephony services for app developer Feed Henry and the Digital Marketing Institute in Dublin. Goldfish.ie’s existing client base includes IDG Direct, University of Limerick’s Nexus Innovation Centre amd construction firm John Sisk & Son.